Anita Perminova-Blog-A Print Lasts A Lifetime, And Often Even Longer. Digital has done wonders for our industry – it allows us to learn faster, it gives us technological opportunities that we could have only wished for in the “film” days and it has made completely new styles of photography possible. I believe that we deserve both tangible artwork for our home and digital negatives for archiving. Digital media go out-of-date and out-of-style, and the files that you have stored in these digital formats will also go out-of-style and become inaccessible. Instead, a print will always be there. There is something nostalgic and romantic about being able to curl up on the couch with your children and look back at a wedding album, or old family photos, without having to flip open a laptop and press the “next” button dozens of times. 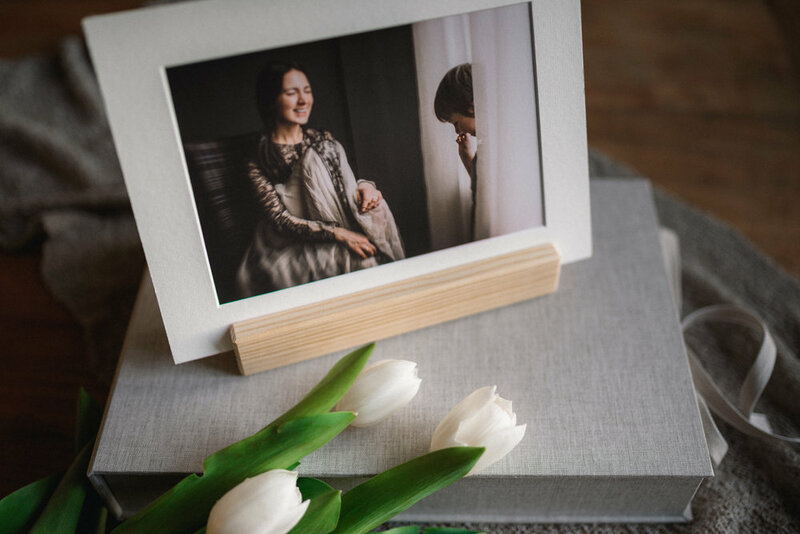 Physical prints give you heirlooms to pass down as you move on in your life. Often you are not recording (capturing a moment) and printing (preserving the moment) for today, but instead for tomorrow, for your children and your children’s children. Passing down a box of hard drives doesn’t exactly have the same appeal, does it? A beautiful portrait is often only as good as it’s presentation. That is why it’s important to invest and consider the proper framing to display your new work of art. My packages feature a luxurious line of heirloom artwork from albums of all sizes to display options which complement any home décor. When you desire to have the best images taken from your session, Session Albums are a great addition to your collection. Your images are printed on professional-grade, high-quality silver halide Fuji lustre paper, the images are crisp clear and will complete your collection of custom art. Linen covers are durable and long-lasting. An Album Care Card is included with each book I deliver. You can choose from a variety of sizes and finishes for the cover. The true treasure of your portrait session is the creation of stunning, ready to hang, custom portraits to display in your home. I offer a wide range of creative mounts designed to decorate your home and create custom portraits to your size needs and specifications, including square and large sizes, as well as your choice of color or black and white images. Many clients desire not only various art pieces for different rooms, but different ways to showcase the photos. This is known as a collection. During our post session consultation we'll discuss what you have in mind and I'll show you all the available options to choose the ones that best suits your needs. When considering documentary or lifestyle photography, groupings of portraits in a series are an effective and contemporary way to tell your story. 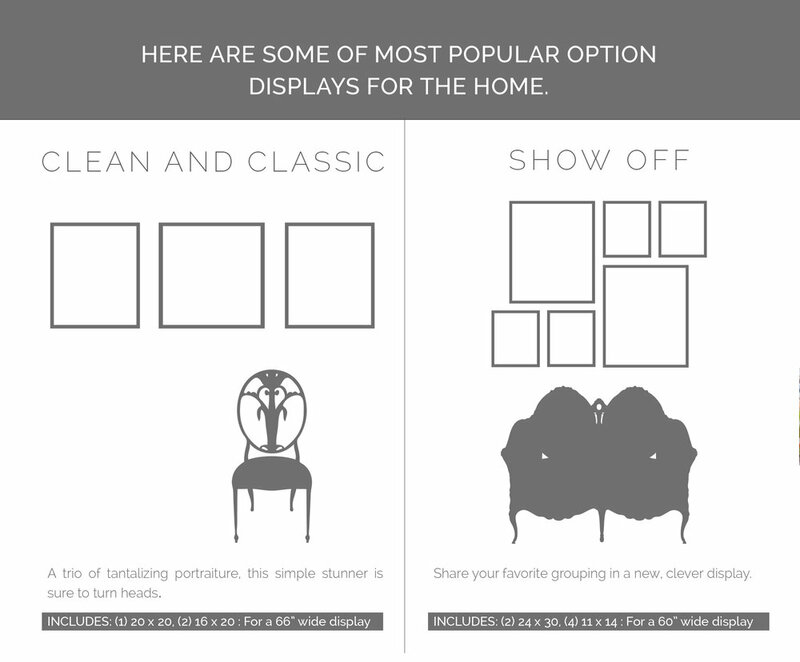 I will gladly walk you through my Wall Art Collections Look Book options, showcasing all of my most popular arrangements. 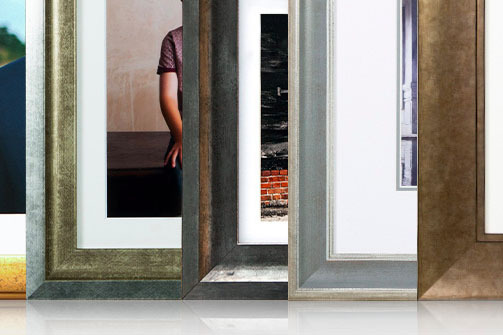 The frames I am offering are designed to complement any decor - classic, modern, beachy, or rustic. Their clean style ensures that the frames don’t compete with the image, but enhance and elevate it. There are many frame options, from natural and stained wood, metal finishes, seamless white or black modern styles, and a wonderful selection of hand finished, painted wood frames. USB Prints Boxes allow you to combine individual 4"x6" or 5"x7" prints together with a USB drive in one beautiful presentation product. Each USB Print Box will hold up to 50 loose prints or 12 mounted prints and a universal USB drive with a wooden stand. Perfect for family and friends, I have a selection of simple frames with white archival mats for smaller prints to give as gifts. I am also happy to gift wrap and send your photo gifts to lucky recipients for you. I'm pleased to offer print press for your favorite images on high quality stock for flat or folded cards. Cards and envelopes are perfect for any occasion, whether for stationery, announcements, holiday cards or thank-you notes. Wide selection of sizes, styles, and paper finishes available. Minimum order quantity of 10. I LOOK FORWARD TO CREATING LASTING MEMORIES WITH YOU!